Former defense minister attacks Avigdor Liberman as a failure, discusses botched commando mission in Gaza. Alleging that "Liberman discovered that his slogans to effectively take out Hamas have no backing", former Defense Minister Moshe Yaalon slammed Avigdor Liberman for choosing not to take responsibility for his failures as defense minister. Liberman had replaced Yaalon as defense minister in 2016 after his Yisrael Beytenu faction joined the governmant. Liberman resigned as defense minister earlier this month for what he said was deep differences with Prime Minister Netanyahu over how to fight Hamas. Speaking at a cultural event on Shabbat, Yaalon said that Liberman failed to effectively oversee the military. “A defense minister resigns because he thought one way and the military thought another way. What do you mean the military thought another way? You are the one responsible, " he said. As defense minister, when I brought [plans for] an operation before the security cabinet or when I brought a certain policy before the security cabinet, I initially cleared it. The IDF chief of staff did not bring it before the government, I did. He explained, but I was before the government,” he said. 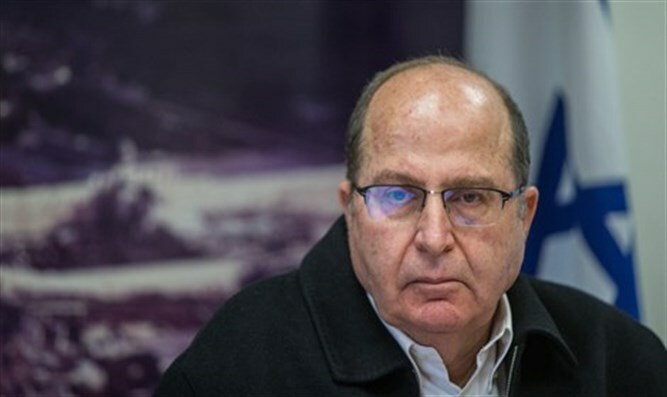 Yaalon left the Likud after his relations with Prime Minister Binyamin Netanyahu soured and later announced that he intends to form a new party and to run for Prime Minister in the next elections. A few weeks ago, Liberman announced that he will resign his position and pull his Yisrael Beytenu faction out of the government. In a dramatic press conference, Liberman said that the recent ceasefire Israel signed with Hamas was "a capitulation to terrorism" and called for early elections "as soon as possible".